Eco spill pallets are an environmentally friendly way to contain leaks and spills from industrial containers, as well as enabling their safe and efficient handling and storage. While traditional equipment can easily hold the weight of steel drums, the drums’ dimensions can create difficulties. Their narrow rims also make them very hard to grip and multiple crew members are often required to abandon their tasks whenever a drum needs to be moved. As an answer to this problem, the Workplace Depot is excited to offer the Eco Spill Pallets, one of its most ecological products to date. What is The Purpose of the Eco Spill Pallets? 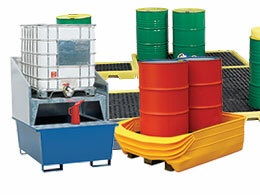 The eco spill pallets provide a greener alternative to other more traditional spill control options. Any safe construction or industrial site knows that moving and storing fuel drums requires the utmost care and precision. 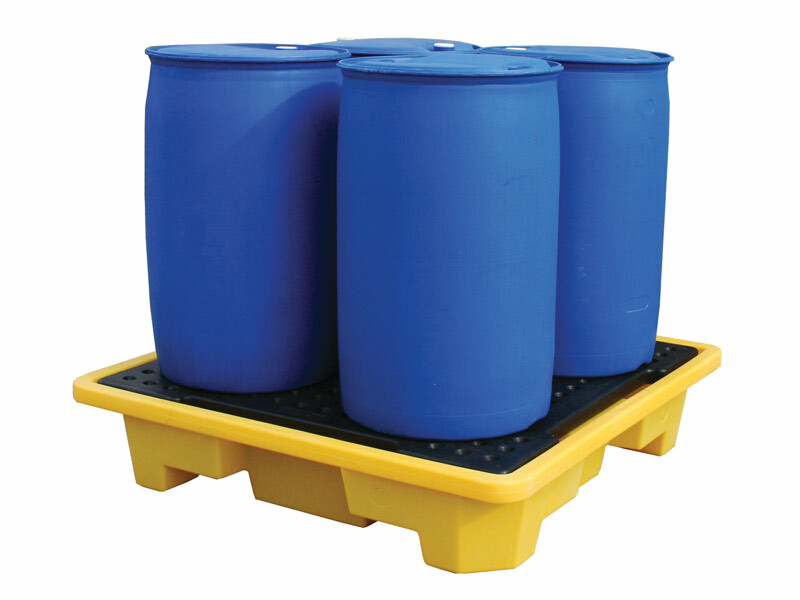 This product is designed to provide a safe, sturdy and snug way to store and transport drums, as well as catching drips and spills, helping keep businesses in compliance with their safety obligations and their storage areas clean and safe. Since fuel drums are standard components at any industrial location, this product can prove useful at nearly all commercial establishments and is particularly apt for businesses seeking to reduce their ecological footprint. Suitable for indoor and outdoor use, fuel companies, shipping yards, and construction sites are just some examples of industries that would benefit from having these pallets on hand. Their user-friendly nature makes it very easy for anyone to use the eco spill pallets in order to maneuver fuel drums smoothly and store them safely. From site managers to crew members, nearly anyone can find a use for this product at their commercial location. 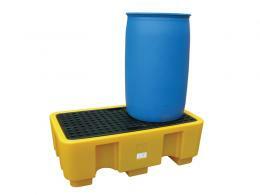 The 2 and 4 drum eco spill pallets accommodate a total load capacity of 650kg and 1250kg respectively. 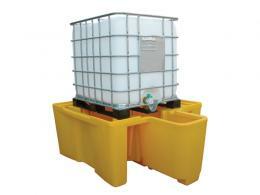 We also offer an IBC (Intermediate Bulk Container) spill pallet which bears a load capacity of up to 2000kg. The pallets are manufactured from superior quality recycled plastic, ensuring that they are environmentally friendly and built to last. They can be delivered within 3 working days and we promise to match any price. We also provide a five-year guarantee against failure due to manufacturing defects, so order your product today!